"My shopping experience was really different than it is today," Kardashian told BuzzFeed News. "I just want an easy, quick shopping experience and still be able to look for things all over the world." Kim Kardashian West has thrown her name behind an app that its co-founders call "Shazam for fashion." 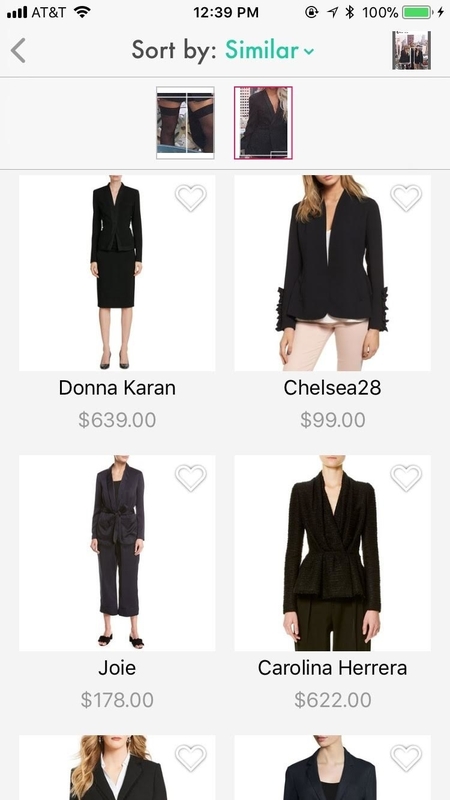 Screenshop, an app by a New York-based startup called Craze, lets users load screenshots of looks they like and then populates a feed of similar products at a range of price points. 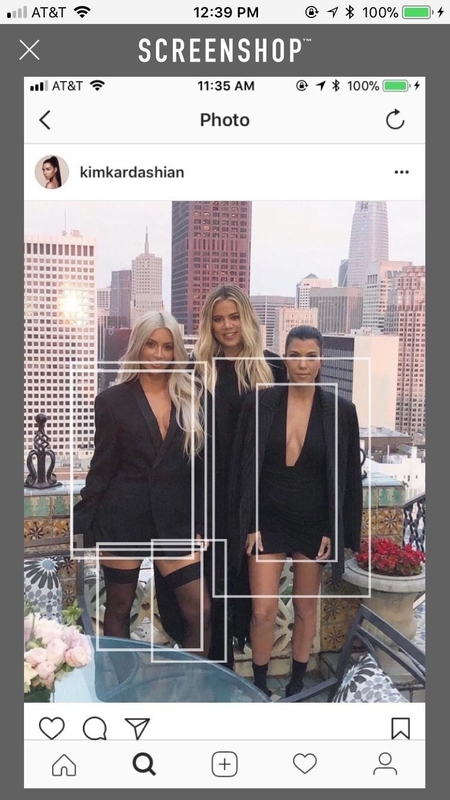 Kardashian West worked with Craze executives over the last year to develop the screenshot shopping concept behind the app, which is designed to make inspo-shopping easy for consumers. "We spent well over a year getting this all together and ready to be what it is today, which is something I've never seen before," Kardashian West, who was an advisor on the app, told BuzzFeed News. "I’ve never seen an app where you can screenshot something and within seconds bring up a whole digital fashion store to be able to pick out from all range prices and sizes of similar things to what you're wearing." Kardashian West added, "That’s super exciting to me, so I just knew right away that I wanted to be involved." The app is pretty simple. You take a screenshot of anything on your phone or a photo of someone whose outfit you like. Then upload the screenshot to your app, click on the photo and a list of similar products will appear for you to purchase. 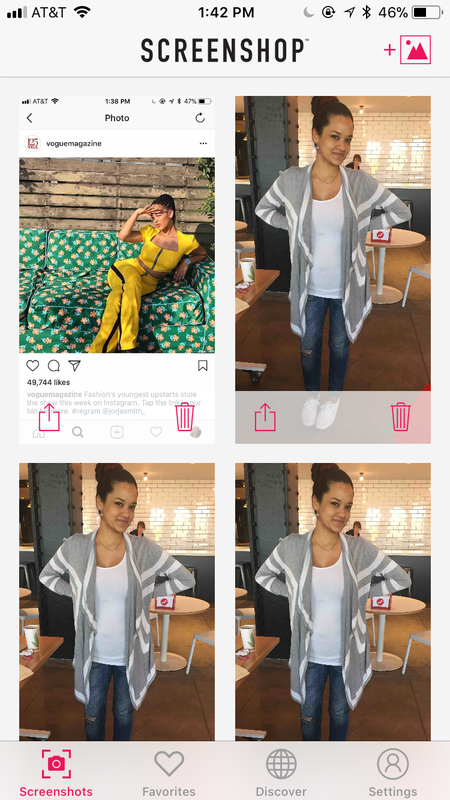 Screenshop patented a workflow using artificial intelligence to identify clothing and accessories in a photo and search 10 million products in its database — from roughly 460 brand partners — to find similar items. With $4.5 million in funding from the company's co-founders and private equity firms, the company has partnered with brands like ASOS, TopShop, Boohoo.com, Kanye West's Yeezy, Forever 21 and Saks Fifth Avenue to drive sales online. The concept behind the app emerged from a frequent dilemma Molly Hurwitz, ScreenShop co-creator and co-founder, faced while browsing Instagram — there was no way to easily shop a look. "For me that process of being able to shop on Instagram on people’s looks and look on Google for it, that was extremely cumbersome," Hurwitz told BuzzFeed News. Beauty influencers on Instagram typically have to manually tag products to specific pieces in a photo. But Hurwitz found that some of the products she liked were beyond her budget and, like many shoppers, she didn't want the exact same look, just a similar one. 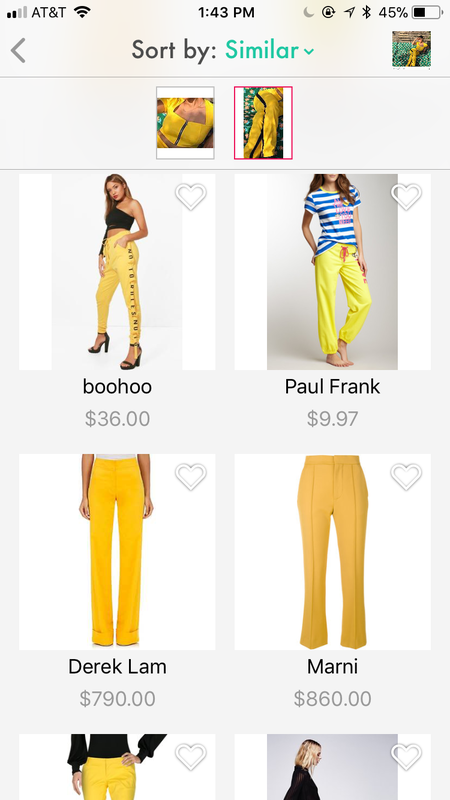 To bridge that gap between inspiration and buying the look, Screenshop chief technology officer Jonathan Caras, along with Molly and Meir Hurwitz, Mark Fishman, and Ari Bregin, set out to develop an easy-to-use app that lets users snap a picture of a look and find products similar to it online. "How do we turn your inspiration from your social feed into actionable things that impact your life?" Caras, a technology entrepreneur based in Jerusalem, told BuzzFeed News. "How do I go from my Instagram feed to how I view myself in the mirror? There is no shortage of visual search historically. But what we've done here is really revolutionary." 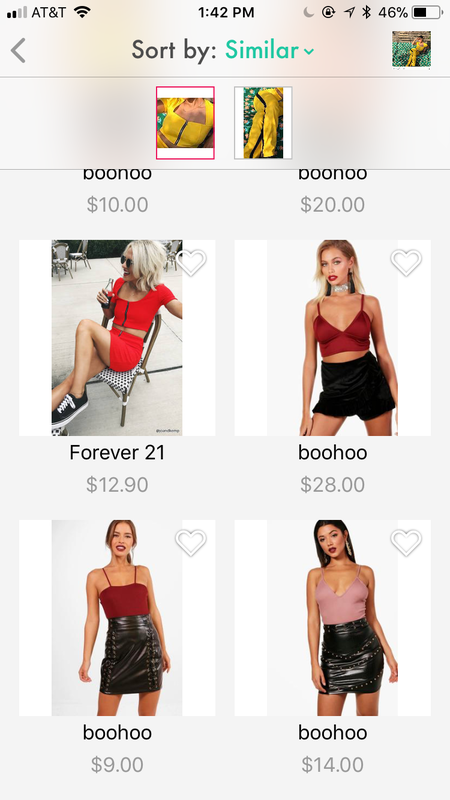 The app's launch comes as traditional retailers struggle to adjust to an increasingly online shopping experience while some experiments with influencers are not leading to significant increases in sales. There is little data that shows that influencer marketing leads to sales, Screenshop CEO Mark Fishman, told BuzzFeed News. Studies have shown that influencer marketing can increase sales compared with traditional digital media strategies that include display ads or banners. But Screenshop's market research found that social networks like Snapchat and Instagram have difficulty turning popular posts into actual sales on their platforms. "When users are on social media sites, they see products they would like to own, but they are not necessarily in the mindset to interrupt their social browsing to complete a point of sale," the company told BuzzFeed News. Out of a total 1.8 million followers shared by the study's influencers, only about 30,000 clicked on the post's links to products, according to the company's market research. Only about 1,930 — or 1% — clicked through to make a purchase. Kardashian West believes Screenshop's concept meets the needs of shoppers who prefer visual shopping experiences online. "Shoppers are so much more visual and so much more creative than maybe in the past," she said. "I truly think if they see something worn a certain way, if you market it that way and merchandise it that way in the store, people will buy it...So I think it's just making everything easy, having the tools and just showing people." Kardashian West is skeptical of in-store virtual reality experiences and other forms of artificial intelligence as solutions to changing consumer behaviors. Instead, she's betting her name on an app that monetizes shoppers' love for discovery. "I'll see a photo of someone wearing something and just get inspired and want that," she said. Virtual reality might be fun in video games, she added, "but for the real world, for shopping, I would rather have the technology we have where you just screenshot something and figure out how to emulate that."